【Material】: Copper chrome. 【Size】: 6 inches , 8 inches (As shown in the picture). 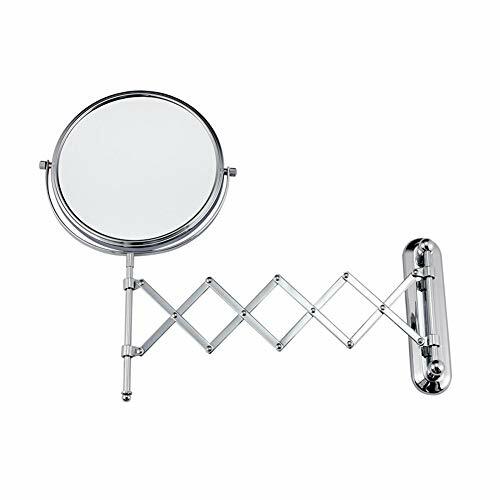 【Rotatable Design】: 360° swivel design double sided mirror has a diameter of 6/8 inch and has a smooth brandy glasses design, 360° to be fixed at any angle you like.